Hear first hand the story of a Jewish Spy in Nazi Germany! An Evening with Marthe Cohn Registration and ticket purchase will open shortly. Please check back soon. Marthe Cohn was born into an Jewish family as one of seven children living just across the German border in France when Hitler rose to power. As the Nazi occupation escalated, Marthe’s sister was sent to Auschwitz while her family fled to the south of France. In November 1944, after the liberation of Paris, Marthe Cohn enlisted and became a member of the Intelligence Service of the French 1st Army, commanded by Marshal of France Jean de Lattre de Tassigny. After 14 unsuccessful attempts to cross the front in Alsace, she crossed the border into Germany near Schaffhausen in Switzerland. As a nurse fluent in German, she assumed the identity of a German nurse and claimed she was searching for her missing fiancee. She would then crawl back across the Swiss border to relay the information back to the French intelligence. She was able to report to her service two major pieces of information: that northwest of Freiburg, the Siegfried Line had been evacuated and where the remnant of the German Army laid in ambush in the Black Forest. After the war Marthe returned to France to pursue a career as a nurse, but in 1956, while studying in Geneva, she met an American medical student, Major L. Cohn, who was the roommate of a friend. Within three years, they were married and living in the United States. Now both retired, they had worked together for years, he as an anesthesiologist and she as a nurse. 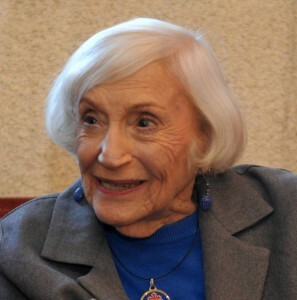 Ninety-four year old Holocaust survivor Marthe Cohn became a member of the intelligence service of the French First Army and was able to retrieve inside information about Nazi troop movements by slipping behind enemy lines. The event will take place at Pascack Valley High School on Monday October 19th, 2015. Doors open 6:30, Program 7:15pm. Ticket purchase will be available shortly. 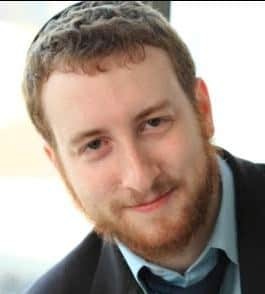 Dovid Efune, editor-in-chief of the Algemeiner newspaper, will introduce the evening by addressing anti-Semitism in the world today, the bias Israel faces in the media, Boycott, divest and sanction movement against Israel on US college campuses and what we can do about it.